ISLAMABAD (92 News) – Life was affected due to a general shutdown being observed across Kashmir against the landing of army in valley on this day in 1947. Call for the shutdown has been given by the veteran Hurriyet leader, Syed Ali Gilani, Mirwaiz Umar Farooq, Shabbir Ahmed Shah, Muhammad Yasin Malik and the High Court Bar Association of the occupied territory. Other pro-freedom leaders and organizations have supported the call. 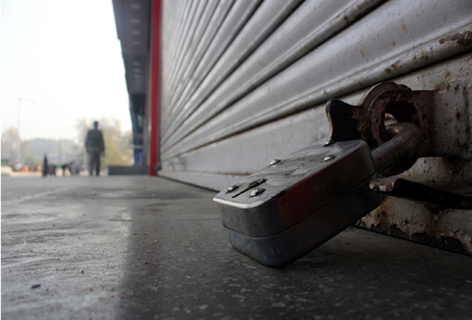 All shops and business establishments remained closed in summer capital Srinagar while public transport was off the roads. A skeletal movement of private transport was reported from various areas of the city. Similar reports were received from other district headquarters of the valley.